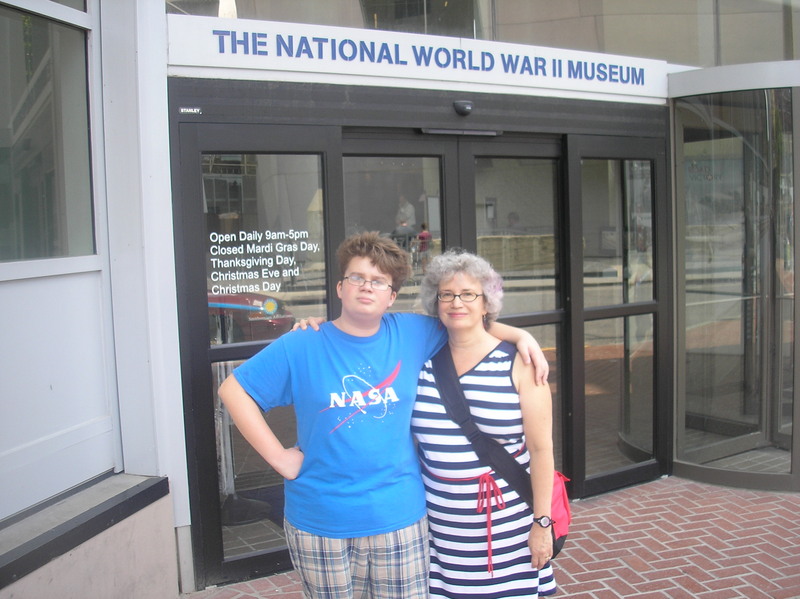 I have the great fortune of having had my second book signing of Home Front Girl at the National World War II Museum in New Orleans on June 13, 2013, the day before Flag Day. 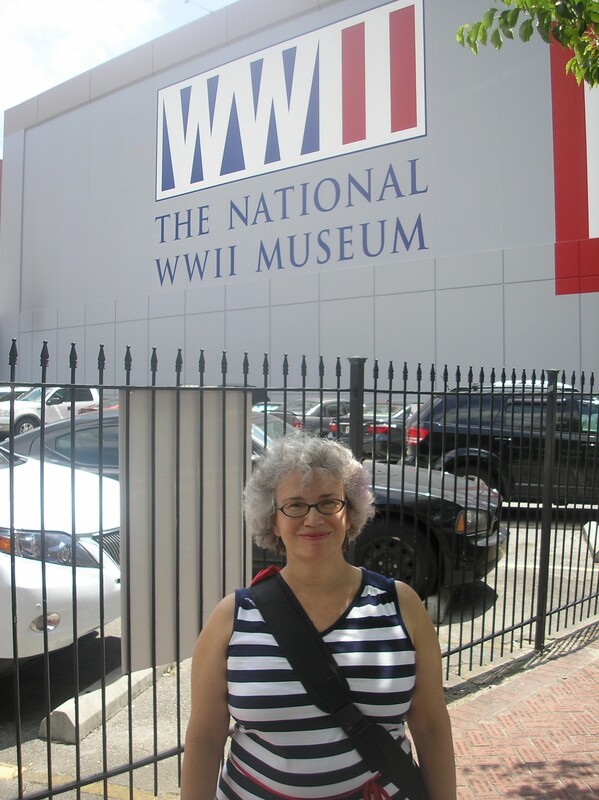 Susie in front of the National World War II Museum, New Orleans. Photo by Jim Kilfoyle. 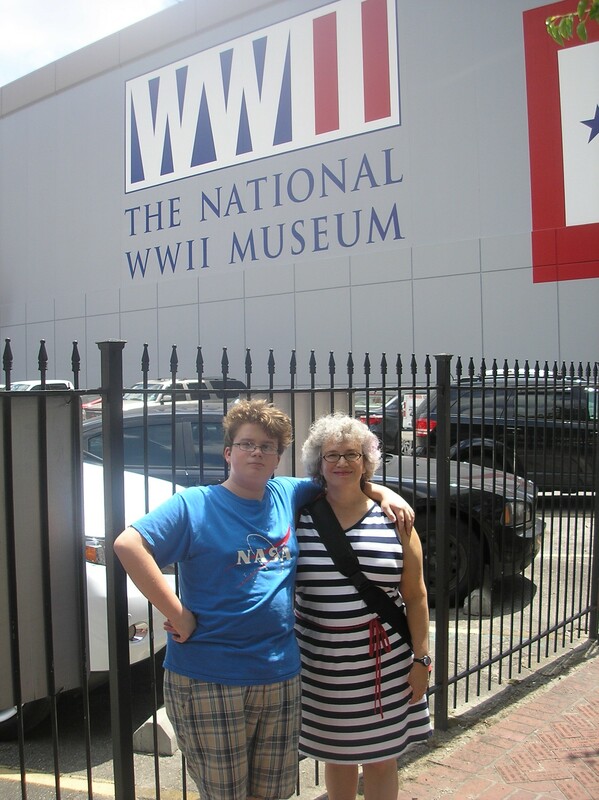 With John in front of the National World War II Museum, New Orleans. Photo by Jim Kilfoyle. As before, I had wonderful conversations with visitors to the museum. One lady bought Home Front Girl for her aunt who was about 6 months older than my mother, Joan. And a dad bought the book for his two charming and brilliant daughters, ages 11 and 16, whom I had the pleasure the chat with! I had fun, but I wish my wonderful Swedish cousin, Gerd, had been with me as she was the last time I was there–we always have a great time together. After the signing, I decided to wander through the museum. It is so richly textured, I only got to see a small section of it. I have to return! 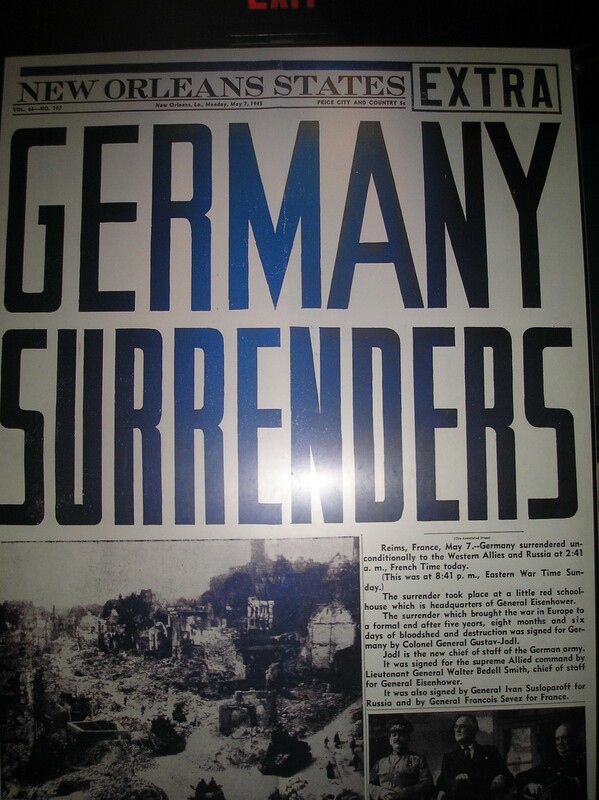 One of the first images I saw in the D-Day section of the museum you can see below. 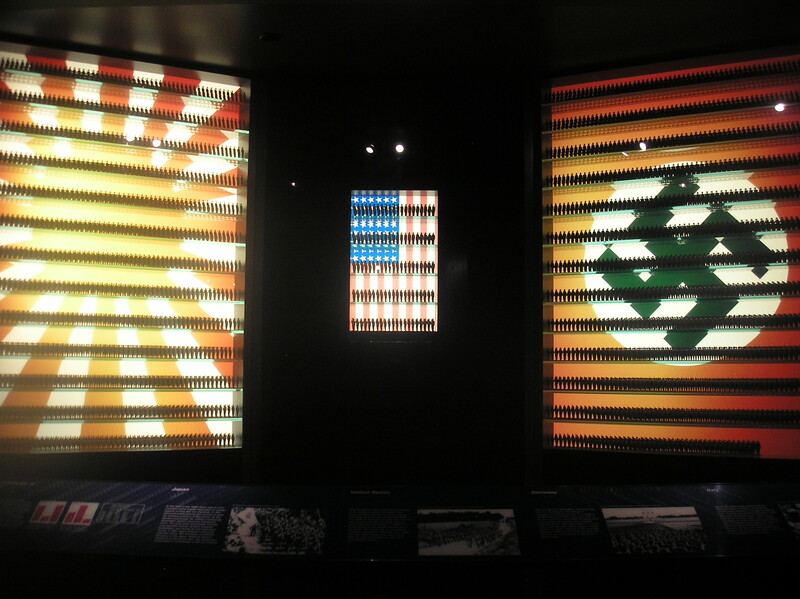 Display show proportional numbers of troops in Japan, U.S. and Germany in the late 1930s: photo from National World War II Museum, New Orleans. Then I saw images from the home front, which is perfectly appropriate for the book with my mother’s diaries, Home Front Girl! Here is a just a tip of the iceberg of what I saw. One of the most poignant entries on the page is the death of a 10 year old Portuguese girl. I liked how the museum integrated all sorts of displays–diaromas, films, oral history segments you push a button to hear, artifacts including letters, diaries, flags, maps –just about anything you can think of! 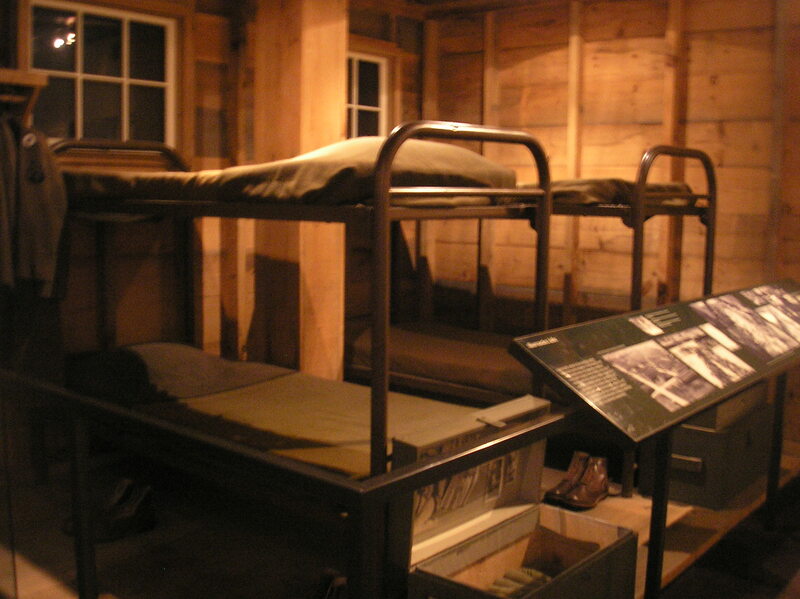 Barracks display at National World War II Museum, New Orleans. Join the U.S. Crop Corps! I had never even heard of the U.S. Crop Corps til today! 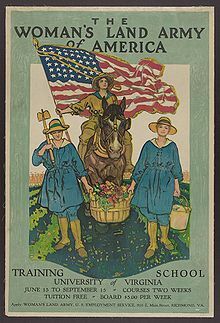 I had heard of the British Land Girls, but had no idea that we had a similar program called the Woman’s Land Army of America. 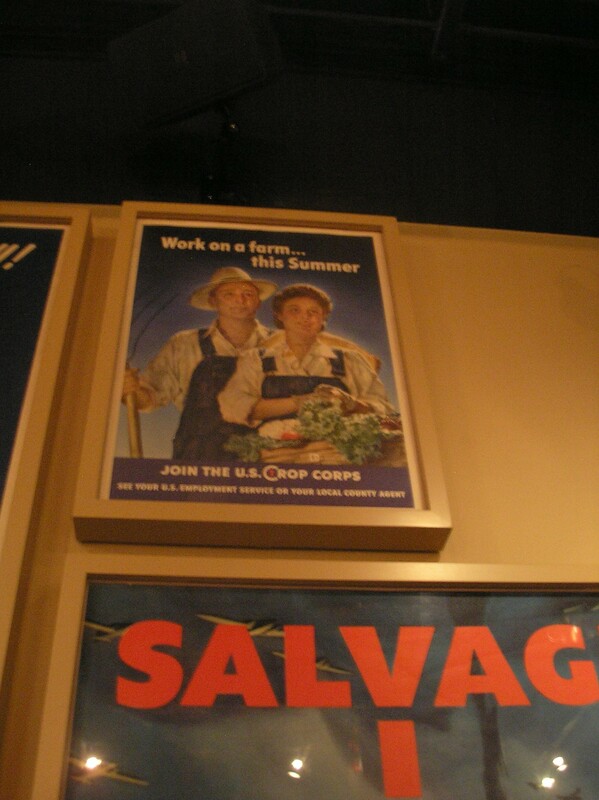 You can read more about service on the home front in America during World War II here. 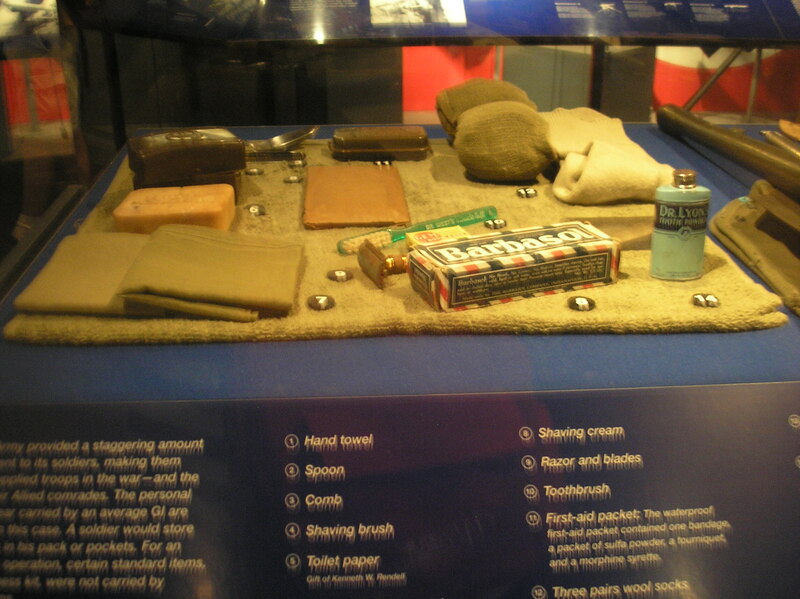 Ration pack material; photo from National World War II Museum, New Orleans. 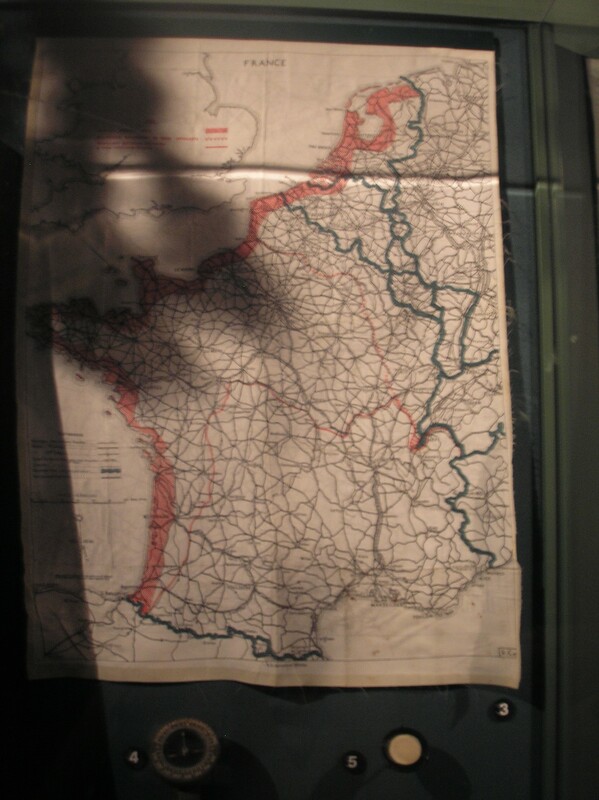 Paratrooper’s silk scarf with map of escape routes if lost behind enemy lines; photo from National World War II Museum, New Orleans. 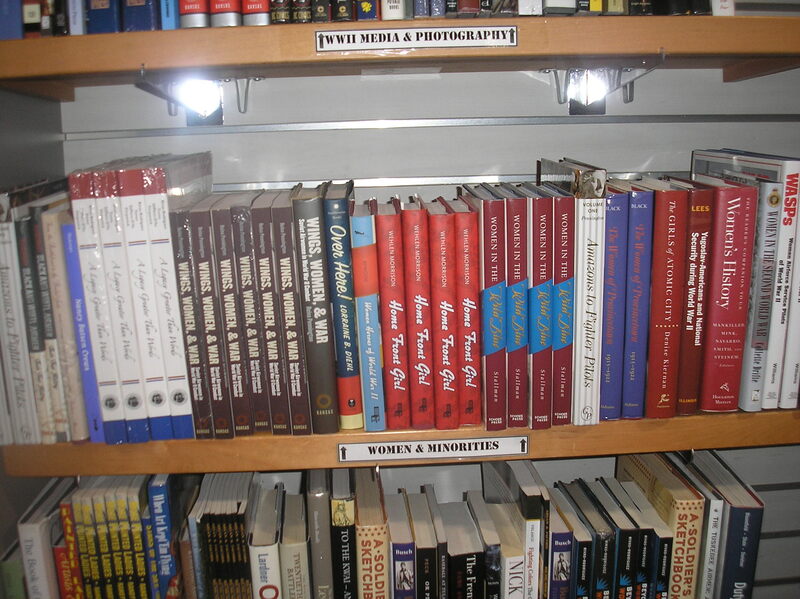 The museum included German soldiers’ points of view in the oral history section. 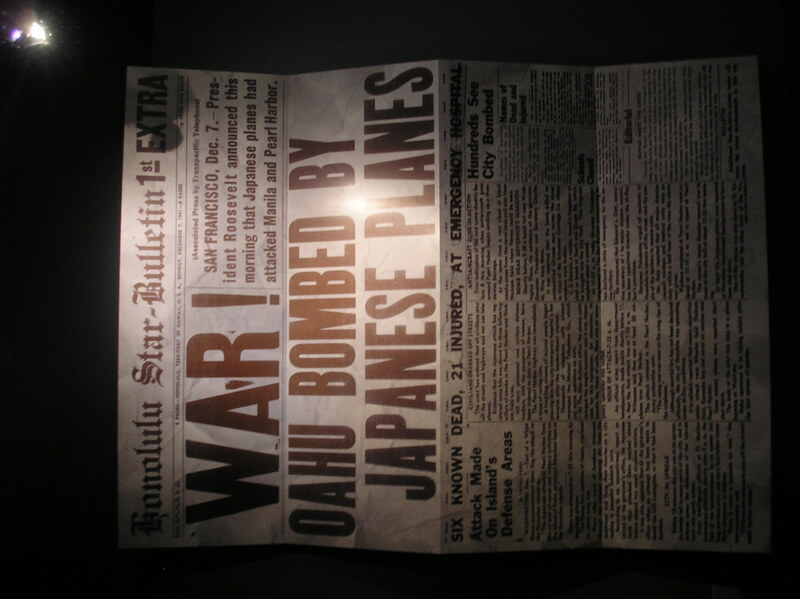 The title says it all; photo from National World War II Museum, New Orleans. 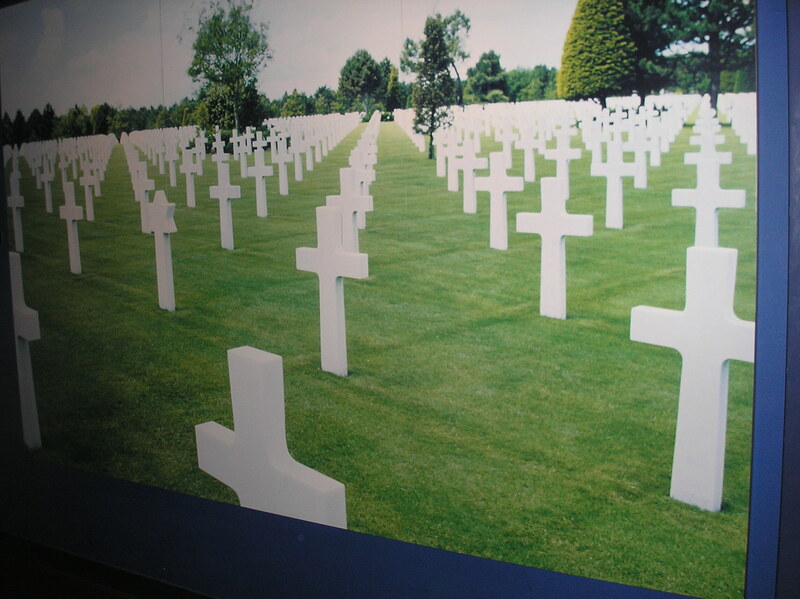 Cemetery in Normandy; photo from National World War II Museum, New Orleans. 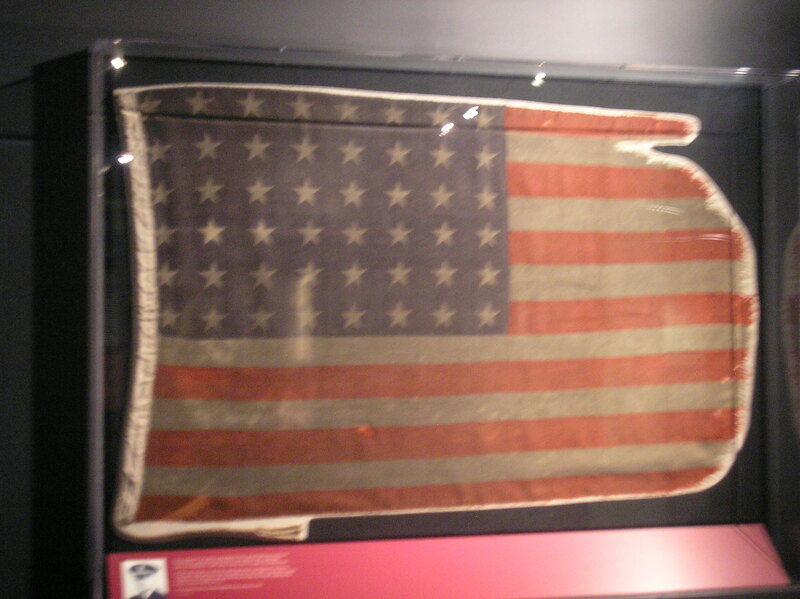 Flag that was carried on Landing Craft, Tank, Rocket 439 on D-Day; photo from National World War II Museum, New Orleans. Remember those who have defended the flag on this Flag Day! 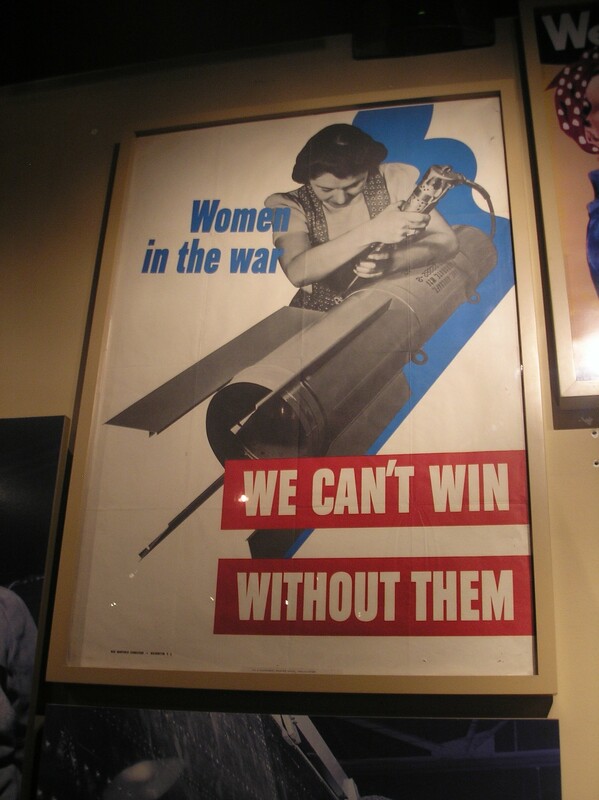 Posted in Susie's Blog and tagged African-American welders, barracks, cemetary, D-Day, Flag Day, National World War II Museum, New Orleans, Normandy, signing, U.S. Crop Corps. Bookmark the permalink.